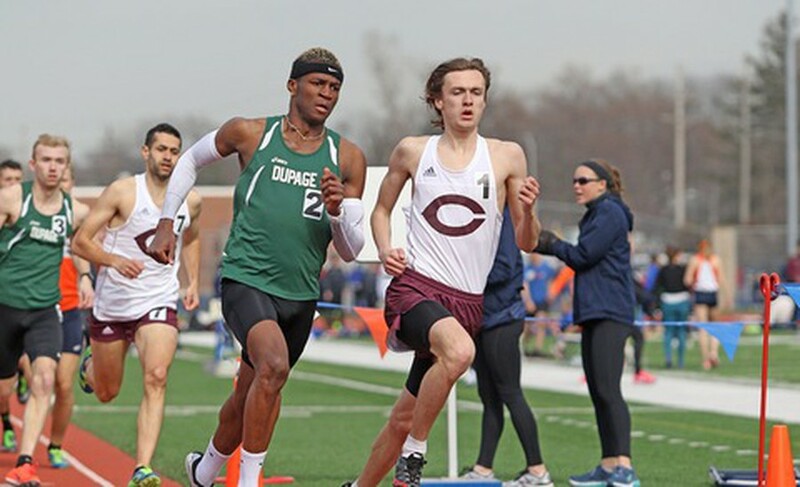 This past weekend, the University of Chicago men’s and women’s track and field teams headed west to Dubuque, Iowa to compete at the 2018 Loras College Dr. Tucker Open. The two teams combined for a total of 23 top-five finishes as well as five event titles. The Maroon women continued their hot streak, bringing home a total of three victories. Fourth-year pole vaulter Angel Fluet launched her way to first place with a vault of 3.25 meters, closely followed by teammate first-year Sidney Lampert who finished second. Fourth-year Cassidy McPherson took home the gold in the 800 meters, finishing with a time of 2:18.56 to put her at the top of the leaderboard. Third-year Nicole VacaGuzman added to the Maroon women’s total titles, taking care of the competition in the 400-meter race with a time of 57.26. The Maroons had four more runner-up finishes from second-year Mary Martin in the 200-meter and long jump, fourth-year Olivia Cattau in the 100-meter hurdles, and second-year Taylor Padak in the high jump. The team ended up with 12 top-five finishes, plus three more inside the top 10 to cap a solid performance. The Maroon men’s weekend was also successful, adding two first place finishes to bring UChicago’s total to five overall. In the 1,500-meter event, fourth-year Jacob Amiri pushed his way to the top spot with a time of 3:58.28, followed by second-year Joe Previdi, who came in third with a time of 4:03.89. Second-year Tim Koenning outlasted the competition in the 5,000-meter, with a winning time of 15:27.24 to bring the men’s first place totals to two. Koenning was closely followed by first-year Jack Barbour, who finished runner-up in the 5,000-meter with a time of 15:43.92. Second-year Alexander Scott added another second place finish in shot put with a throw of 15.36 meters. The men finished with 11 finishes in the top five, with seven more in the top 10 in their impressive showing. Both teams look forward to capitalizing on their success this upcoming weekend at the North Central Dr. Keller Invitational in Naperville, Illinois. The Maroons will look to claim victory at North Central starting 11 a.m. on Thursday, May 10.